You too can forecast the future! The first in an occasional series about the tools and methods for thinking about the future in a structured, useful way. For nearly the past fifteen years, I’ve been working as a futurist. My job has been to provide people with insights into emerging trends and issues, to allow them to do their jobs better. I’ve done this work for big companies and government agencies (usually under the Very Professional sounding title of strategic foresight), and for TV writers and game companies. It’s quite an enjoyable job, as it allows me to indulge my easily-distracted curiosity about the world. Fortunately, it’s also a job with some definite practical uses. Futurism as it’s practiced today doesn’t try to predict the future, but rather to illuminate unexpected implications of present-day issues; the emphasis isn’t on what will happen, but on what could happen, given various observed drivers. It’s a way of getting new perspectives and context for present-day decisions, as well as for dealing with the dilemma at the heart of all strategic thinking: the future can’t be predicted, yet we have to make choices based on what is to come. 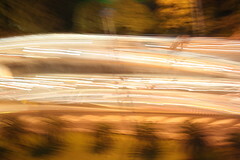 I’ve sometimes called futures thinking a “wind-tunnel,” a way of testing plans and ideas. Now I think that’s a bit limited. Futures thinking is perhaps better understood as an immune system for our civilization. By examining and testing different possible outcomes–potential threats, emerging ideas, exciting opportunities–we strengthen our collective capacity to deal with what really does transpire. Thinking about the future, and doing so in a careful, structured, open and collaborative way, makes us a stronger civilization. Focusing only the challenges of the present may seem imperative, especially when those challenges are massive and frightening. But without a sense of what’s next, a capacity for understanding connections and horizons, and a vision of what kind of world we want, our efforts to deal with today’s problems will inevitably leave us weakened, vulnerable, and blind to challenges to come. But if futures thinking is so important, why don’t more people do it? One answer is that they don’t know how. So let’s change that. This post, and subsequent posts in this series, will help to explain basic methods of structured futures thinking. You won’t become a professional futurist overnight, but you will start to ask new questions about the world, and start to see bigger implications of events and choices. Most futures projects, whether informal or professional, follow a similar pattern: Asking the Question; Scanning the World; Mapping the Possibilities; and Asking the Next Question. Asking the Question: Futures thinking is rarely just a free-form “what will the future look like?”–in nearly every case, the exploration into different possible futures comes from a narrow concern. Sometimes that concern is about strategic choices a company needs to make, sometimes it’s about potential changes to an operating environment, and sometimes it’s about gaining a better understanding of emerging markets, competitors, and/or stakeholders. Even if you’re doing this for your own amusement or education, it’s helpful to have a basic question in mind, simply as a framework for what follows. Another aspect of “asking the question” is determining how far ahead you want to think. In my experience, ten years is a good target–it’s far enough out that some big changes are likely, but near enough that much of the world will still be familiar. Five years is about as near-term as I like to work–sooner than that, and it becomes too tempting to over-estimate the potential for change; conversely, fifteen years is about as far out as I like to look for most projects, because beyond that the potential for disruptive change is big enough that your basic question may become irrelevant. Scanning the World: After you have your basic question and timeline in mind, it’s time to start thinking about the kinds of factors–sometimes called “drivers”–that are likely to shape how your question would be answered. This is a chance to think about a wide spectrum of issues. If you’re looking at the future of mobile computing, for example, you need to take into account not just digital technologies, but also changes to mobility, to transportation, to demographics, to work patterns, to regulation, and to the wide array of new uses for mobile tools (health care, for example, or comparative shopping). It’s useful here to start gathering information. Most of us who work as professional futurists never really stop gathering information–you never know when a provocative, potentially disruptive new development might appear. News sources particular to the issue you’re working on are of course useful, but I tend to rely heavily upon journals and Web sites that cover a wide array of subjects (such as New Scientist, Worldchanging, and Fast Company). Web sites and organizations devoted explicitly to thinking about future possibilities can also be of great value. It can also be useful to bring in perspectives and viewpoints beyond your own. Friends and colleagues can offer new perspectives, and most good futures work is done collaboratively. You should also consider checking out sources that you disagree with, because you can sometimes still find useful insights–and the very act of thinking through why you disagree with their perspective can trigger new ideas, too. Mapping the Possibilities: Now that you’ve done the ground-work, here’s the heart of the process. Books can be (and have been) written about the various professional methodologies out there for doing futures thinking, but they all boil down to the same core idea: there is no one future. Trying to figure out “the” future is always a mistake; it’s much more productive to think about an array of possible outcomes. Remember that the futures you come up with will almost certainly be wrong–the goal is to be wrong in a way that offers insights into present choices. The future is what I expect. The future is better than I expect. The future is worse than I expect. The future is weirder than I expect. Now, write up a short essay about each of these futures, combining the drivers and ideas you came across in your scanning; it’s often useful to write a page or two from the perspective of someone living in the year you picked as your future date. The essay need not talk about the subject of your question directly–this is more of a chance to describe the world in which that answer has emerged. This doesn’t have to be a science fiction story, by the way. It’s better to think of it as a newspaper article, or even a blog entry. Asking the Next Question: Now that you have four different futures, it’s time to return to your original question. Ask yourself how you would answer that question in each of these four worlds. Is there a way to answer that question that can lead to happy (or at least acceptable) results in each, even in the “worse” or “weird” futures? If not, is there a way to minimize the risks in those unacceptable scenarios? Now ask the next question: what happens then? You’ve made your choice in each of these futures, but that’s not the end of the story. What kind of pressures are there on the success of your decision? What do your friends, colleagues, and competitors say about it? Thinking it Through: Finally, ask yourself how you get from today to the futures you’ve laid out. What kinds of choices, what kinds of changes do you need to make now to lead to the outcomes you’d prefer? What can you do to avoid the futures you don’t want to see? Often one of the key insights from many futures projects is the simple realization that the future is in our hands–that our choices matter. But this isn’t an easy task. Futures thinking is hard work. Fortunately, you do get better at it with practice. It’s worth the effort. 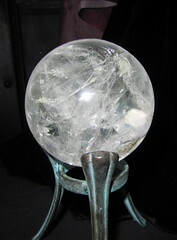 Images: Crystal Ball by M.Gifford on Flickr, Creative Commons licensed; Night Traffic by Jamais Cascio, Creative Commons licensed.